The Foothills K9 Association wishes to acknowledge the achievements of those who have gone before us, both Handlers and K9’s. Those K9’s and Handlers who have given all throughout their career, no matter the length or the reason they are no longer with us. Listed below are these individuals and their stories. There is much to tell about my canine partner and best friend, but I’ll try to be brief. I have always loved dogs, especially German Shepherds. Having been a K-9 Handler in the United States Air Force, it was natural for me to test with the Placer County Sheriff’s Department for a K-9 Handler position (first in the jail as a correctional officer and then on the street as a deputy sheriff). It worked out pretty well, and soon, I would be assigned a police service dog to work with me as a partner in the Placer County Main Jail. On a mild March evening in 1999 I went to the Sacramento International Airport and met a one and a half year old German Shepherd from the former Czech Republic. (His name at the time was Igor). The origin for this dogs name would come from the Texas and Arizona law enforcement organizations, specifically Marty Robbins song “Big Iron” which told the tale of an Arizona Ranger. 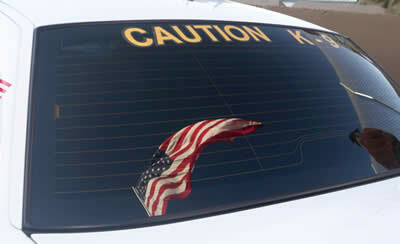 Additional inspiration came from the United States Army Rangers and there motto, that no man be left behind. 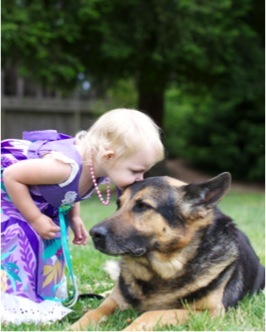 You see, our canine partners demonstrate that kind of honor, courage and loyalty every day of their lives. All the best qualities we would like to see in ourselves, our dogs show us every day. They give it freely, without any thought for themselves. And so “Ranger” and I became partners. We worked in the jail for 4 years and then went out to the street. Everything I ever asked of him he did. And something else happened too. He became a part of my family as much as we became a part of him. My 11 year old son, Ryan, and Ranger have the same birthday. Ranger will be 10 this July 10th, Ryan will be 12. Ranger retired on March 29th and reluctantly gave the job over to a new dog in our family, Scout. 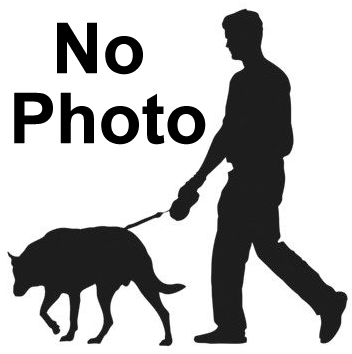 Although Ranger had only one apprehension resulting in a bite in his 8 and ½ year career, he had 12 arrests in 2006 (compliance gained through use of the dog and/or his presence). Also in 2006, Ranger and I participated in 46 of the 83 requested demonstrations and educational events for our unit. He was always happy to be petted! Immediately after he retired we learned Ranger had a very aggressive form of adeno cancer in his right front leg. Treating it aggressively, his leg was amputated in early May. Now, 5 weeks later, the cancer has returned in spite of chemotherapy. In spite of the best efforts of Doctor Peter Walsh and Doctor Brad Green, and many others at Loomis Basin Veterinary Clinic, there are no certainties now for Ranger and my family except one. This cancer will not be cured; it will not go into remission. Our two options are a major surgery (which will mean a lot of extra energy for recovery on top of the one he just had), along with chemotherapy and radiation treatment at UCD. This option (especially the radiation, which is an every day appointment) is expected to make his quality of life quite poor. The radiation is expected to be expensive and make him very ill. We are concerned about making our dog basically miserable for however much time he has left. The option we are choosing is to continue periodic chemotherapy treatments, a possible use of a new experimental drug and the use of K-9 Transfer and K-9 Immunity products by a company called Aloha Medicinal (who originally began making these supplements for humans fighting cancer). There are a lot of positive testimonials on their web site. We’ll be keeping our fingers crossed! In addition, we appreciate your continued hopes and prayers! While we know we can’t have Ranger forever, we hope to keep him as comfortable and healthy as possible during the time we’re given with him, while still letting him be a dog. We are grateful to the Placer County Sheriff’s Department, specifically Under Sheriff Steve D’Arcy, Canine Unit Manager, Lieutenant John D. Savage and Canine Unit Supervisor, Sergeant Dave Powers for their help with much of Ranger’s after retirement medical bills. We would also like to thank the entire staff at Loomis Basin Veterinary Clinic, including Doctor Corey Cherrstrom, Doctor Peter Walsh, Doctor Brad Green, Veterinary Assistant Debbie Chiu, and Doctor J.T. Vida and so many others. We would also like to express our sincere gratitude to the members of the Placer County Dispatch Center. Lastly, we are especially grateful to Sacramento County Sheriff’s Deputy and Canine Handler Brian Amos, along with the Sacramento Sheriff’s K-9 Association and their interest in posting our story on their website! Ranger still wants to go; he still wants to bite the bite sleeve and does (just like a dog with four legs)! He’s got a strong heart, a strong spirit. And just as he has walked beside me these last 8 and ½ years, I will now walk beside him. Helping him, caring for him, praising him for all he has done, playing with him and taking him whenever I can. I plan on making his life as good as it can possibly be with the time my family and I have left together with him. I will love him just as he has given me his all, his unconditional love every day we’ve been together. Thank you “Big Boy!” We all love you! Now we all know the outcome. I am sorry it took me so long to get to this time together with you all. I need to thank you for all your loving kindness, your prayers, your good wishes and condolences. I do have a sadness that stays with me to a certain extent (sometimes more pronounced, rawer and more intense). But for those of you who were privileged to know him like I was, you know all the wonderful memories we will all share of him. Ranger was truly my beloved friend. He was gallant, heroic, patient, honorable, courageous, and regal, he gave and gave and gave. It will never be possible for me to repay the debt I owe him. So I will try always to honor his memory with my life. Thanks also to all of you. I truly believe Ranger was the type of dog who will live on in our hearts and minds. I don’t know what the future holds. I do know I hope and pray God will find me worthy someday, to somehow, someway be with my “Big Boy” again! 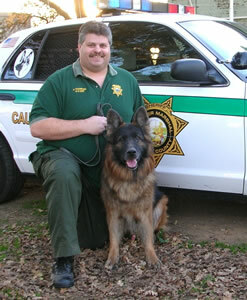 On Saturday, February 2nd, retired Placer County Sheriff’s Canine Handler Ron Skellenger and his family lost his canine partner, Brixx. He was just short of his 14th birthday. Brixx and Ron served Placer County with distinction when they became partners in September 1997. They left service together in October of 2004. During their service together, the handler/K9 team participated in canine demonstrations and educational events, searched for lost persons and arrested hiding criminals. They were deployment statistical leaders during many of their years of service. One of Brixx’ more memorable K-9 arrests came when he found one of two outstanding vehicle theft suspects, while looking for a place to take his break. The bad guy ended up screaming while Brixx ended up standing on the bad guys back! We are saddened to hear of Brixx’ passing and our thoughts and prayers are with Ron, his wife Vickie and their boys. We know they will miss their partner, family member and friend. Officer Darci Gibbs lost a long, brave battle with cancer very early Saturday morning, March 1st 2008. Darci was a wonderful person who brought light and happiness to her family and all who knew her. Her first K9, Axel, did not pass certification. In spite of this, Darci worked with a new K9, Xeno, and they were certified and worked in the Corrections Division. She went on to work with Xeno in the Placer County Main Jail for a number of years before she followed another dream and went to work as a probation officer. She will be missed by all who knew her and our lives were made better for having known her. 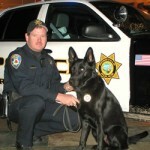 The Roseville Police Department’s K9 unit is sad to announce the death of retired police canine “Zig”. Zig started his career in 1999. Zig retired in 2005 due to a leg injury and other medical problems. He continued to live with his handler, Officer Chris Nowicki, until his death on November 30th, 2009. K9 Sabre passed away on Saturday Sept 18. Sabre was the partner of Deputy Derek Tredinnick since 1999. 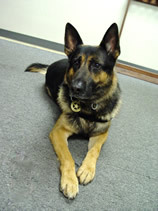 Sabre was trained in Handler Protection and drug detection . 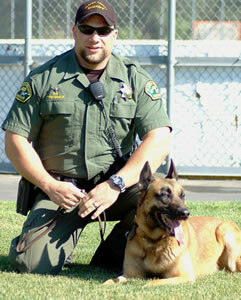 Sabre retired in 2010 after a sucessful career as a Placer County K9. Sabre will be greatly missed by the team and his family. It is with a heavy heart that I inform you that K9 Morris passed away this morning. His health was failing and he was in a lot of pain, so I made an excruciatingly hard decision. My wife and I were with him as he peacefully slipped off to a pain free place where he can run and play. He was a loyal friend and partner and a great protector. He served his community and then his family well. His loss has left a huge void in my family’s heart that will take some time to fill, if ever. He is missed and will never be forgotten.